Fully Charged is a revolutionary, pre-exercise formula that blows the doors off existing pre-exercise formulas because it isn’t about getting you amped up on copious amounts of caffeine or other central nervous system stimulants, which is what other pre-exercise products do. Instead, Fully Charged contains an impressive blend of nutrients that supply a plethora of true performance-enhancing benefits. 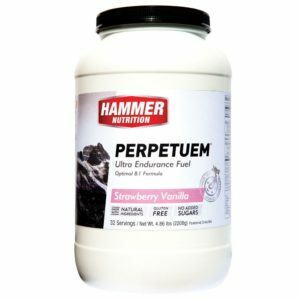 The search for a truly beneficial pre-exercise formula is over! No other pre-exercise product provides the wide-ranging benefits that Fully Charged does, without subjecting you to the unpleasant, overly wired effect associated with other products. If you’re ready to be mentally and physically prepped to take your workouts and races to another level, you’re ready for Fully Charged. Taurine – A sulfur-containing amino acid that is found throughout the body, but especially in muscle and nerve tissue, taurine assists in regulating heartbeat and muscle contractions, and levels of neurotransmitters in the brain. 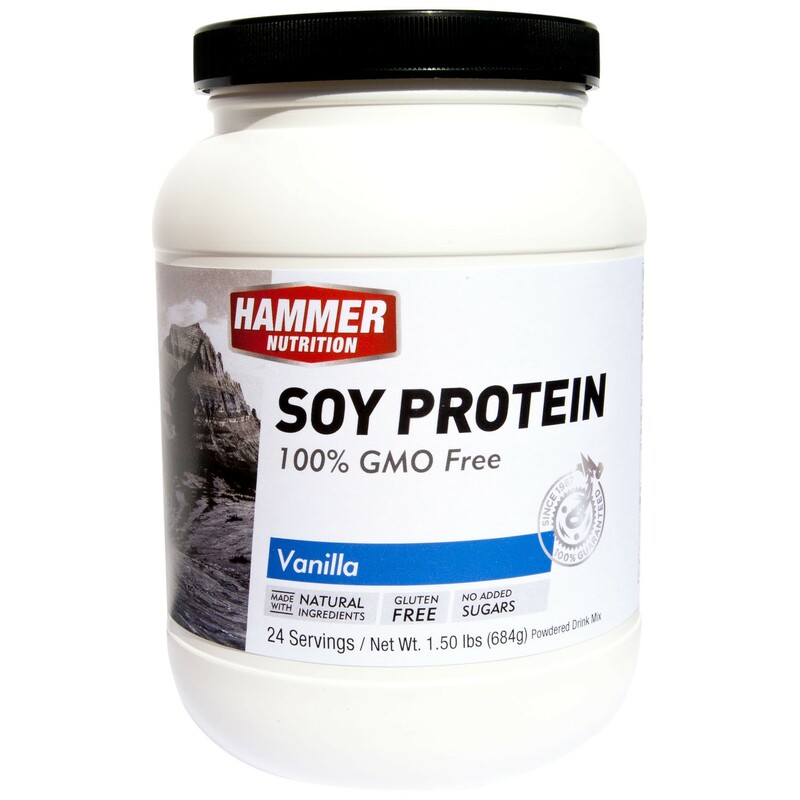 It is essential for the proper functioning of the electrolytic minerals calcium, magnesium, potassium, and sodium, helping to protect against muscle cramping. Among its many benefits, taurine is suggested to increase concentration and mental alertness, and it possesses antioxidant properties. Perhaps most important to athletes, taurine supplementation is correlated with increases in VO2 max and time to exhaustion. Along with carnosine, taurine helps reduce lactic acid buildup and assists in maintaining optimal blood pH. Beta-alanine – This amino acid increases muscle concentrations of the dipeptide carnosine, which helps alleviate fatigue by acting as a buffer against increased acidity. L-Carnitine Fumarate – L-carnitine is an amino acid that primarily functions as a transporter of fatty acids into the mitochondria for conversion to energy. Fumaric acid (fumarate) is a Krebs Cycle Intermediate and plays a vital role in energy production. Spectra™ – A proprietary blend of 29 vegetable, fruit, and herbal ingredients, Spectra™ has been shown a crossover, double-blind, placebo-controlled study to increase nitric oxide (NO) levels by 64%. 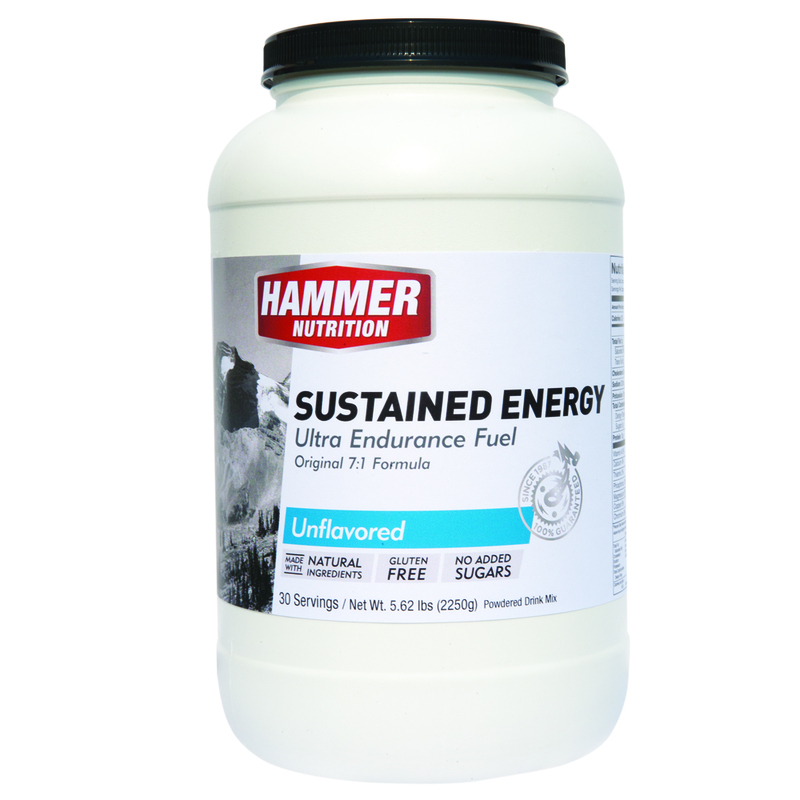 Increasing NO levels result in increased blood flow to muscles, enhancing delivery of nutrients and oxygen to working muscles, thus supporting increases in endurance and strength. That same study showed that Spectra™ also provides powerful antioxidant support, reducing free radical production. Green Tea Extract (standardized to 50% polyphenols) – A natural source of caffeine, green tea also contains polyphenols such as catechins – including an especially important one known as epigallocatechin gallate (EGCG) – which provide antioxidant and cardiovascular health support. elevATP™ – A proprietary, clinically-researched blend of plant-derived trace minerals and polyphenol-rich apple extracts, elevATP™ works with the body’s natural energy-producing mechanisms to stimulate production of adenosine triphosphate (ATP), the energy currency of the body. Beet Juice Powder – A rich source of nitrates, which help boost nitric oxide (NO) levels. Tyrosine – This amino acid is the precursor for several important neurotransmitters that are involved in alleviating stress and fatigue, while helping to increase mental alertness. 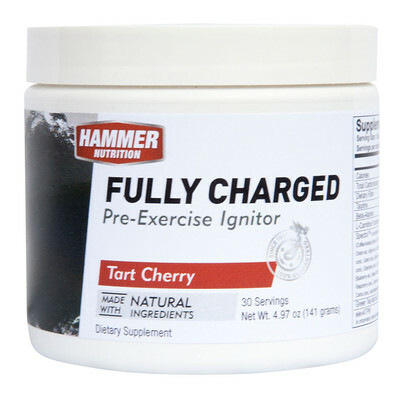 Tart Cherry Extract (standardized to 6.5% anthocyanins) – Cherries contain naturally occurring compounds (anthocyanins) that research has shown helps block pro-inflammatory COX-1 and COX-2 enzymes. This helps maintain normal muscle function during exercise, while alleviating muscle aches and promoting rapid muscle recovery after exercise. 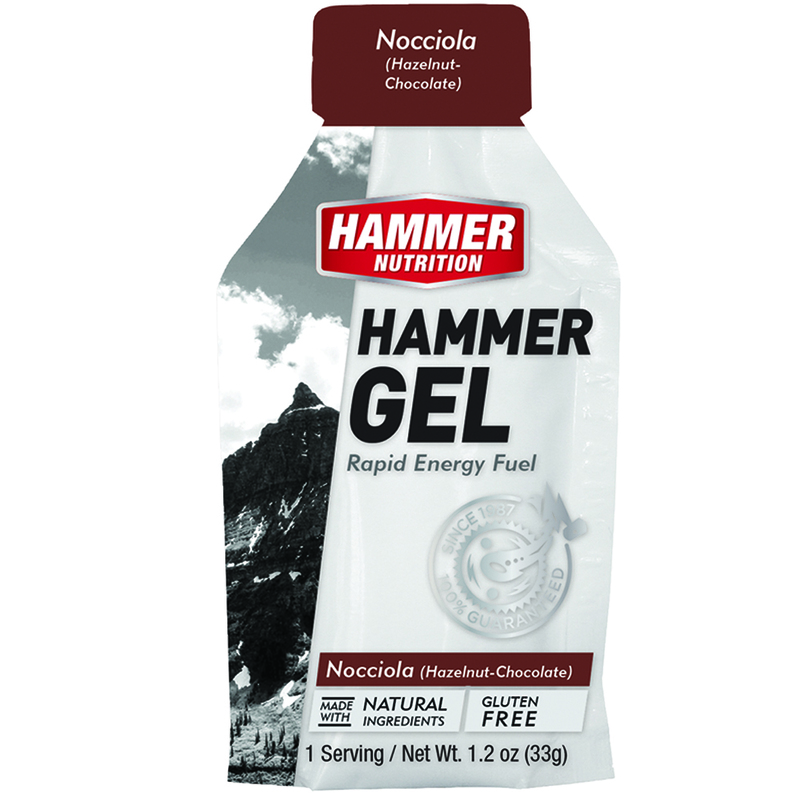 Hammer Fully Charged is my pre-race go-to which I will mix with beetroot juice to provide an additional nitric oxide boost. I’ve used stand-alone beta alanine and beetroot juice to assist my performance for a number of years so I was really happy to see this product come to market. The lack of caffeine and other central nervous system stimulants is an added benefit to avoid excessive pre-event jitters. I also like that the product is plant-based and suitable for vegans (so I can share it with friends!). The science behind the ingredients is robust.